WELCOME ON THE HAUDENSCHLDS FAMILY BLOG! Welcome! You have successfully reached the English blog of family Rev. Dr. Alain & Rita Haudenschild, with SEND International in East Asia (Taiwan). The Need of a Church order grows out of history and our cultures. One of the earliest pieces of the church to meet this need was the Apostolic Creed. – The order of a service supports the intention to pray, learn and worship God. – Christian worship involves praising God in music and speech, readings from scripture, prayers of various sorts, a sermon, and various holy ceremonies (often called sacraments) such as the Eucharist. While worship is often thought of only as services in which Christians come together in a group, individual Christians can worship God on their own, and in any place. The preparation for it is important. One important tool in our churches coming from Reformation is the church letter with a schedule. Good church letters or service bulletins in that account are worth to keep and often represent a lot of thinking work about the right way to worship God. The early believers in Christ continued in the traditions of their Jewish forefathers, worshiping as they had in both the Temple and the Synagogue. To this worship practice they added the distinctly Christian components which were, in fact, transformed Jewish worship practices. These included Baptism, the Eucharist, the Agape meal, and others. Baptism was also present in Jewish religious practice as a personal repentance for sin. Baptism, like the Lord's Supper, was transformed in both meaning and content by our Lord Jesus Christ. Baptism became not only a repentance for one's sins, but being baptized in the name of the Trinity now also assured forgiveness and incorporation into the Body of Christ, the Church. Baptism was the once and for all initiatory rite whereby one received the Holy Spirit and came into the Church. Christian worship involves praising God in music and speech, readings from scripture, prayers of various sorts, a sermon, and various holy ceremonies (often called sacraments) such as the Eucharist. There is no record of any liturgical books except the Bible in the early Christian church, until around the 4th century. By the end of the middle ages there were an array of books containing the texts, music and instructions for the complete performance of all the various ceremonial activities practised within the church. There were books containing all the components of various services, and special books for the use of the bishop, the priest, the deacon, the reader or the choir. The precise content of the liturgy, including the mass and the divine office, was not absolutely fixed either in time or space. There were variants between different dioceses and orders. The Cluniacs, for example, were renowned for their lengthy and elaborate liturgy, while the mendicant preaching orders such as the Dominicans and Franciscans, or the local parish priest, had other duties which prevented them filling their entire day with worship. Particular geographical areas included feasts to favoured local saints in their liturgical round. But what to do about the Eucharist? It could not be added to a Synagogue service, yet it was to be celebrated as the Lord had commanded. The answer was tied to the Resurrection. Jesus had been crucified on Friday, the day before the Jewish Sabbath, and had risen on Sunday, the third day. Thus the day after the Sabbath was seen as the day of the Lord's Resurrection, the Lord's Day. At the Lord's Supper, the “parousia” or presence of Jesus Christ was experienced in the consecrated gifts; here people encountered Christ's new life in His resurrection. It was only natural that the Eucharist or Lord's Supper should be celebrated each Resurrection Day. Thus, the typical pattern for early believers became to go to the Synagogue and worship on the Sabbath, followed by gathering for the Lord's Supper on the "next day". In the early Church, the Lord's Supper was celebrated at the end of the Agape (love) or fellowship meal. This was an extension of the Passover supper tradition, and was a means for believers to show each other the love and unity they shared together in Christ. All gathered, each bringing what they were able. At the conclusion of the meal was the Eucharist, the "thanks-giving" for the grace of Jesus Christ. The sacrament conveyed the understanding and symbolism of the Passover Supper, now consummated in the Body and Blood of Jesus Christ, the Lamb of God. It is highly probable that it was the absence of this Jewish understanding that accounted for the disintegration and abuse of the Agape meal in the Gentile churches. Paul berates the Corinthians for being selfish, causing some to go hungry, and for drunkenness at the meal which became so pervasive that it even prevented the Eucharist from being celebrated (I Cor. 11:20-21). · What can be seen, however, especially during the early years prior to the Gentile missions, was a link between these old and new worship practices. · The first books of the Western rite were the sacramentaries, originating in the 7th or 8th century. This was the book of the mass, but it did not contain the complete service, only the part of it spoken or chanted by the priest celebrating the mass himself. It contained no lessons or parts for the choir. It also contained services that were particular to a bishop and could not be performed by an ordinary priest, such as ordinations, consecration. · The rite of the Eucharist. · The prescribed form for a public religious service; ritual." · True fellowship: treating fellow believers as they are—family, with the associated love, unity of heart, and giving toward others that is common to a good family (Acts 2:44-46). · The observance of the ordinances: baptism of believers and remembrance of the Lord's Supper / Communion (Acts 2:41,42,46; 1 Corinthians 11:23-32). Steadfast observance of the apostles' doctrine, the reading of the Word of God, and the teaching / preaching of the Word of God (Acts 2:42; 1 Timothy 4:13-16; 2 Timothy 4:2). Prayer and praise, with dependence upon the Holy Spirit's direction (Acts 2:42,47; Acts 13:1-4; 1 Timothy 2:1-8; Ephesians 6:18). Evangelism and discipleship, with all members of the church using their spiritual gifts to serve Christ as part of the Body of Christ (Matthew 28:18-20; Acts 1:8; 1 Timothy 4:5; Ephesians 4:11-16; Romans 12:3-8). While some churches are labeled as "liturgical" because of their very formal and predetermined order and manner of worship, all churches to some degree have a format that they typically follow. The main issue may not be whether a church is liturgical, since all are to some degree, but whether its teachings and practices are in line with Scripture on core issues. Agreement with Scripture, not liturgy, determines whether a church’s practices are compatible with those of a healthy and Biblically-based church. In Taiwan the Little Flock belongs to the denominations who concentrate on worshipping God only. Religion is defined as ‘a system of human thought which usually includes a set of narratives, symbols, beliefs and practices that give meaning to the practitioner’s experiences of life through reference to a higher power, deity or deities, or ultimate truth’. This is mainly the basic definition of religion, which is also accepted by most religious leaders. - The main difference between these Christianity and Hinduism ist that Christianity recognizes one omnipotent God in three persons, while Hinduism in its roots has thousands of gods and believs that all of them are a manifestation of one god and one omnipotent power. Another major difference between Hinduism and all other religions (including Christianity) is that Hinduism is an ‘evolving religion’. Its rituals progress. Hinduism has no founder like Christianity. Worship rites undergo a development, sometimes the politics influence its degree of shaping a country’s history. 4. 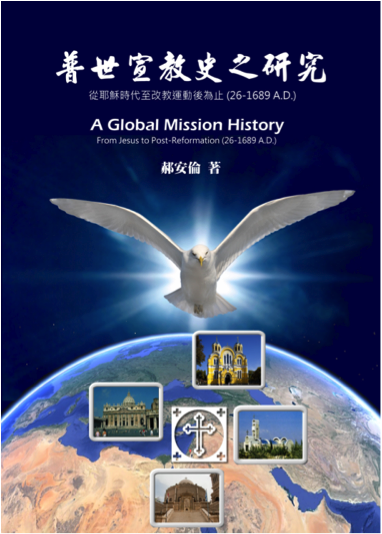 The Christian Liturgy in Taiwan’s Presbyterian Churches. In Taiwan, Presbyterians have historically been active in promoting the use of the local vernacular Taiwanese, both during the Japanese colonial period, as well as after the transfer of rulership to the Republic of China, during which the exclusive use of Mandarin was legally mandated. Also, the church has historically been an active proponent of human rights and democracy in Taiwan, a tradition which began during the Japanese colonial period and extended into the martial law period of the ROC. As such, the church has been somewhat associated with the Taiwan independence movement. The Presbyterian Church Taiwan (PCT) has also been a consistent and a proponent of Aboriginal Rights. In the end of the first chapter the writer speaks about the worship in the fourth Gospel (The Prolog to the Fourth Gospel and Christian Worship, C.H.Dodd). F.F. Bruce concludes in his book „Fourth Gospel regarding Christian Worship“ Christianity ministers to ‘a wide public consisting primarily of devout and thoughtful persons... in the varied and cosmopolitan society of a great Hellenistic city such as Ephesus under the Roman Empire’ in terms which would be familiar to them. With “new thought-forms and new terminology to convey the Christian message. Christian worship centers in Christ who died for humanity and through forgiveness and cleansing from sins has the power of real renewal and changing human hearts, as Jesus has successfully defeated the power of dead once and forever! Dictionary of the English Language, Fourth Edition. Boston (Massachusetts): Houghton Mifflin Company, 2006. · Bruce, F.F. "The Fourth Gospel in Recent Interpretation," Terminal Letter of the Theological Students' Fellowship (Spring 1958): 2-6. Throughout most of Christianity's history, corporate Christian worship has been primarily liturgical, characterized by prayers and hymns, with texts rooted in, or closely related to, the Scripture, particularly the Psalter; this form of sacramental and ceremonial worship is still practiced by the Roman Catholic, Eastern Orthodox, and Anglican churches, as well as some Protestant denominations like Lutheranism and Methodism. The very term „liturgy“ is derived from the Greek leitourgia meaning "public service" and is formed by two words: "laos" (people) and "ergon" (work), literally "work of the people". Responsive prayers are a series of petitions read or sung by a leader with responses made by the congregation. Set times for prayer during the day were established (based on Jewish models), and a festive cycle throughout the Church year (the European Christianized Farmers Calendar) governed the celebration of feasts and holy days reminding to the events in the life of Jesus, the lives of the saints, and aspects of the Church's perception of God. The liturgical cycle divides the year into a series of seasons, each with their own mood, theological emphases, and modes of prayer, which can be signified by different ways of decorating churches, colors of Paraments and Vestments for clergy, scriptural readings, themes for preaching and even different traditions and practices often observed personally or in the home. In churches that follow the liturgical year, the scripture passages for each Sunday (and even each day of the year in some traditions) are specified by a list called a lectionary. A great deal of emphasis was placed on the forms of worship, as they were seen in terms of the Latin phrase lex orandi, lex credendi ("the rule of prayer is the rule of belief")—that is, the specifics of one's worship express, teach, and govern the doctrinal beliefs of the community. According to this view, alterations in the patterns and content of worship would necessarily reflect a change in the faith itself. Each time a heresy arose in the Church, it was typically accompanied by a shift in worship for the heretical group. Orthodoxy in faith also meant orthodoxy in worship, and vice versa. Thus, unity in Christian worship was understood to be a fulfilment of Jesus' words that the time was at hand when true worshippers would worship "in spirit and in truth" (John 4:23). This unity is still present today in Eastern Orthodoxy and to a lesser degree in Roman Catholicism. Worship as singing underwent great changes for some Christians with the Protestant Reformation. Martin Luther, a music lover, composed hymns that are still sung today, and expected congregations to be active participants in the service, singing along. In 1525 Luther and his able composer friend and co-worker, Johann Walther, published a choir hymnal with four and five part arrangements of 37 hymns, the Geistliche Gesangbuechlein. Twenty-four of these hymns are by Luther. Within Luther’s lifetime nearly a hundred hymnals were published. Before the impetus of Lutheran hymnody was spent in Germany, the number of hymns reached 75,000. For Calvin’s to singing scripture was superior to other forms of worship. Luther wanted the hymns of the Church to reflect as closely as possible the exact words of scripture. Calvin went a step further. He felt that the singing of the express words of only the psalms, though he did permit the singing of other select scripture texts, ensured that Divine revelation was being put to music. The only notable musical contribution of the early Calvinist churches was therefore the Psalters, metrical translations of the Book of Psalms. In 1524, Theodore de Beze introduced congregational psalmody to the German-speaking Calvinist churches in Strasbourg where he was pastor. In 1533, Calvin presented the Genevan Psalter that was followed by the editions of 1542, 1551. When Calvin became the pastor of the French-speaking congregation in Strasbourg in 1538, he introduced the French Psalter that was later published in its complete form in 1562. John Knox (see Presbyterian worship)learned from Calvin; only Psalms were sung, and they were sung a cappella. Furthermore, in the Genevan and Scottish Reformed tradition, man-made hymns are not sung, being seen inferior to the God-inspired psalms of the Bible. The Calvinist Regulative Principle of Worship in some conventions distinguishes traditional Presbyterian and Reformed churches from the Lutheran and other types of churches with Reformed/Protestant Theology. Current Christian worship practices are diverse in modern Christianity, with a range of customs and theological views. Three broad groupings can be identified, and whilst some elements are universal, style and content varies greatly due to the history and differing emphases of the various branches of Christianity. In many Christian traditions, regular public worship is complemented by other forms of worship, such as individual meditation, prayer and study, small group prayer (often linked with Bible study), and formal ceremonies on special occasions, including weddings, funerals, baptisms and events of Church or state. This grouping can also be referred to as the Eucharistic or Catholic tradition, but it is important to note that it is not limited to the Catholic Church. It also includes the Oriental Orthodox churches, the Eastern Orthodox churches, the Lutheran churches and most branches of the Anglican Communion. Worship (variously known as the Mass, Divine Liturgy, Divine Service, Eucharist, or Communion) is formal and centres on the offering of thanks and praise for the death and resurrection of Christ over the people's offerings of bread and wine, breaking the bread, and the receiving of the Eucharist, seen as the body and blood of Jesus Christ. Churches in this group understand worship as a mystic participation in the death and resurrection of Christ, through which they are united with him and with each other. Services are structured according to a liturgy and typically include other elements such as prayers, recitations, hymns, choral music, the reading of Scripture, and some form of teaching or sermon. In the theology of the Catholic Church, the Mass takes on another dimension, that of a sacrifice with is a ritualistic re-presentation of the Body and Blood of Christ to God the Father. The service is usually led by a priest who wears vestments (sacred clothing). In many other Protestant traditions, particularly non-conformist groups such as the Methodist, Baptist, and Presbyterian churches, but also some parts of the Anglican Communion, corporate worship is shaped by the legacy of the Reformation. The emphasis is on the Bible as the ultimate authority in all matters and services therefore focus on a sermon, which is frequently an exposition of part of the Bible or an exhortation on morality or faith. Worship in such a context also generally features spoken prayer (either unscripted or prepared), Scripture readings, and congregational singing of hymns. Some liturgy is normally used but may not be described as such. The Lord's Supper, or "Communion", is celebrated less frequently (intervals vary from once a week to annually according to the denomination or local church), and a small number of groups such as the Salvation Army do not observe Communion. Vestments are less elaborate or absent, and in some traditions services may be led by laity. Since the late 1960s, there have been significant changes to Protestant worship practices, resulting from both the theological and musical influences of the charismatic movement. Firstly, contemporary worship music is now widespread and can be found in many churches, including those that do not subscribe to a charismatic theology. This music is written in the style of popular music or folk music and therefore differs considerably from traditional hymns. It is frequently played on a range of instruments that would not have previously been used in churches such as guitars (including electric) and drum kits. Use of the pipe organ is therefore less prevalent. Secondly, a new music-centred approach to worship, known as contemporary worship, is now commonplace. The replaces the traditional order of worship based around liturgy or a "hymn-prayer sandwich" with extended periods of congregational singing sometimes referred to as "block worship". A contributing factor to this, again resulting from the charismatic movement, is the creation of numerous new churches (such as the Vineyard churches), which have experienced significant growth and dramatically altered the composition of Protestant Christianity. These new churches are outside of established denominations and adopted charismatic theology and contemporary forms of worship from the outset. Within the Catholic Church, the charismatic movement has had much less influence on the structure of regular worship, although contemporary worship music is sometimes used in some parishes, particularly those affected by a movement known as the Catholic Charismatic Renewal. This movement is frowned upon by many clergy, and the use of contemporary worship music, which is considered secular, has been condemned in several official Church statements and documents. Worship practices in the Eastern Churches have largely remained unaffected. Aaland, Kurt. „λειτουργια“, The Greek New Testament – Dictionary, 3rd ed. corrected. Stuttgart: [Unitd Bible Societies], Biblia Druck, 1983. Church - Question Mark Booklets, 16. Definitions for ceremony: http://www.definitions.net/definition/ceremony 20/9/2011. Eggert, Kurt J. Martin Luther, God’s Music Man, the 500th anniversary of Luther’s birth (Wisconsin Lutheran Seminary, November 10, 1983). Schmemann, Fr. Alexander. The Church Year (Celebration of Faith Series, Sermons Vol. 2), 1994. Stern, Sacha. Calendar and Community - A History of the Jewish Calendar (Oxford University Press 2001). Stookey, L.H. Calendar: Christ's Time for the Church, 1996. Webber, Robert E. Ancient-Future Time: Forming Spirituality through the Christian Year, 2004. Cluniac monasticism shaped in 910 by Peter the Venerable (d. 1156), who was abbot of the abbey of Cluny in Burgundy. Cluniac monks did not participate in conventional manual labour that had previously formed a component of monastic life, as dictated by the Rule of St Benedict. Indeed, they even thought it inappropriate that monks should dirty their hands in this way. (Boston, [Massachusetts]: Houghton Mifflin Company, 2006). F.F. Bruce, "The Fourth Gospel in Recent Interpretation," Terminal Letter of the Theological Students' Fellowship (Spring 1958): 2-6. Kurt Aaland, „λειτουργια“, The Greek New Testament – Dictionary, 3rd ed. corrected ) Stuttgart: [Unitd Bible Societies], Biblia Druck, 1983). The liturgical year, also known as the church year, consists of the cycle of liturgical seasons in Christian churches which determines when feast days, including celebrations of saints, are to be observed, and which portions of Scripture are to be read. Distinct liturgical colours may appear in connection with different seasons of the liturgical year. The dates of the festivals vary somewhat between the different churches, though the sequence and logic is largely the same. Webber, Robert E. Ancient-Future Time: Forming Spirituality through the Christian Year, 2004. Kurt J. Eggert, Martin Luther, God’s Music Man, the 500th anniversary of Luther’s birth (Wisconsin Lutheran Seminary, November 10, 1983). Metrical verses made the music more accessible to the people. Sacha Stern, Calendar and Community - A History of the Jewish Calendar (Oxford University Press 2001). Come and bless unreached people groups! Vision 119 - The (Life-) Vision For You? 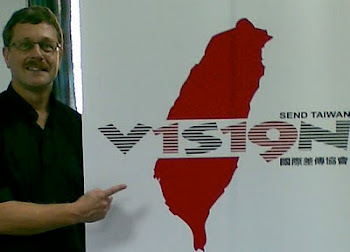 Ministry Opportunities WITH SEND INTERNATIONAL IN TAIWAN !!! CHECK ! >>> "COME OVER AND HELP!" # On average, when Christ is witnessed to people before the age of 25 yrs. 19 out of 20 decide to follow Christ. # After the age of 25, only 1 in 10,000 people come to Christ. # After the age of 35, only 1 in 50,000 people come to Christ. # After the age of 45, only 1 in 200,000 people come to Christ! On average a non- Christian is witnessed to 18 times before he/she accepts Christ! You never know what ‘number’ you are in the line, and the journey towards salvation. Do you know why Taiwan needs more missionaries>>>? GLOBAL MEMBER CARE NETWORK -CHECK IN! Copyright: Rev.Haudenschild, BaushengRd. 1,Fl.20,24888 Yunghe, NewTaipei,R.o.C.,arhau@ccea. org.tw. Picture Window theme. Powered by Blogger.